SHE is the apple of her mother's eye, but she is also a small step in the survival of her species. 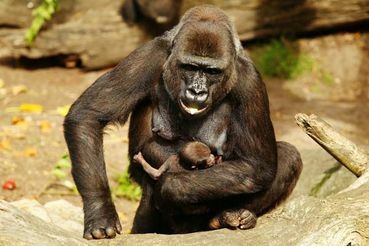 The 10-day-old Western Lowland gorilla, named Kipenzi - Swahili for "Precious One" - appeared in public for the first time yesterday at Taronga Zoo. Welcome to the world Kipenzi-may you live a long and peaceful life. thx & noted, yrna & yes, it does give hope as this little sweetie will carry the future of lowlands with her & the others! Thanks for the encouraging and hopeful news that the international breeding programs are showing some success.